X-ray crystallography has been a defining tool for structural biology. Since the determination of the molecular structure of myoglobin in 1957, the technique has allowed researchers to determine the structure (and hence the function) of tens of thousands of proteins, nucleic acids, and other biological molecules. 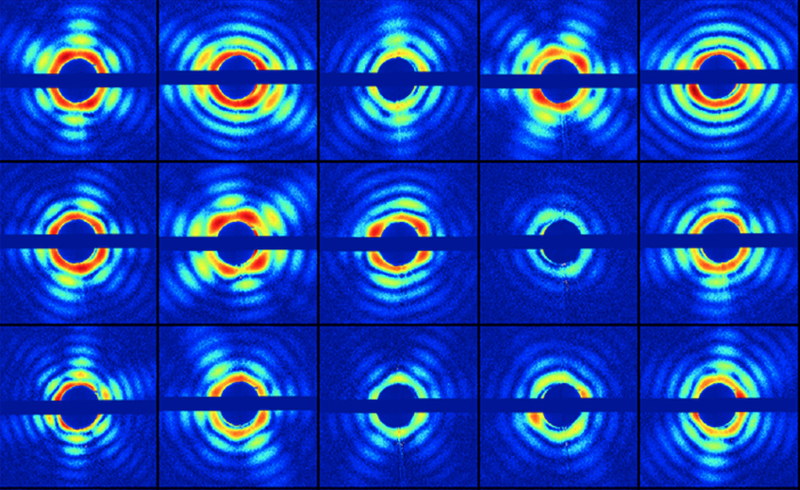 For the method to work, the molecules of interest have to be assembled into a crystal that can be investigated by monitoring how an x-ray beam scatters off of it. Unfortunately, many important molecules do not cooperate: they are impossible to crystallize. Addressing this limitation has been a key driver of a new generation of light sources based on x-ray free-electron lasers (XFELs). An international community of XFEL users is seeking to reconstruct molecular structure without crystals by scattering x rays off single molecules injected into powerful XFEL beams. A team lead by Janos Hajdu at Uppsala University, in Sweden, has now reported a key step towards this goal .